This article is about the rocket architecture and proposal. For other uses, see Direct (disambiguation). For the rockets proposed as part of the DIRECT architecture, see Jupiter (rocket family). Three major versions of the DIRECT proposal were released with the last, Version 3.0, unveiled in May 2009. On 17 June 2009, the group presented its proposal at a public hearing of the Review of U.S. Human Space Flight Plans Committee, a panel reviewing US space efforts, in Washington D.C.
With the October 11th signing of the NASA Authorization Act of 2010 (S. 3729) by President Obama mandating work on the Space Launch System Heavy Lift Launch Vehicle, the DIRECT Team declared their effort a success and disbanded. Some members subsequently announced the formation of a new space technology company: C-Star Aerospace, LLC. DIRECT advocated developing a single, high-commonality family of rockets named Jupiter, adapted closely from existing Space Shuttle systems. Each Jupiter launch vehicle would use a "common core stage" consisting of a tank structure based closely on the existing Space Shuttle External Tank with a pair of standard four-segment Solid Rocket Boosters (SRBs) mounted at the sides as on the Space Shuttle. Up to four Space Shuttle Main Engines (SSMEs) from the Space Shuttle Orbiter would be attached to the bottom of the External Tank. The engines would be deorbited along with the expended tank to burn up in the Earth's atmosphere. For flights lifting payloads massing 70 Tonnes or less, the Jupiter would fly with no upper stage and utilize only three SSMEs. This configuration was designated the Jupiter-130, indicating one cryogenic stage to reach orbital insertion, three SSMEs powering this common core stage and no engines on the upper stage (because there is no upper stage). For heavier payloads a proposed Jupiter Upper Stage (JUS) would be added atop the tank structure and a fourth SSME would be mounted on the base of the common core stage. This configuration was designated the Jupiter-246, indicating two cryogenic stages to reach orbital insertion, four SSMEs powering the Common core stage and six RL-10 cryogenic engines powering the JUS. For extra-planetary expeditions, the JUS would serve in a role similar to the Earth Departure Stage planned for Ares V. DIRECT specified existing components for their launch vehicles, but contended that they could incorporate improvements such as the more powerful five-segment SRB and J-2X upper stage engine currently under development for the Constellation Program should they become available. Crews would be carried atop the launch vehicle in NASA's planned Orion Crew Exploration Vehicle, itself topped by the planned Launch Abort System. Cargo, whether carried behind the Orion spacecraft or alone on a cargo-only launch would be enclosed by a payload fairing. Many configurations of Jupiter were seen as possible, but the DIRECT version 3.0 proposal, released in May 2009, recommended two: the Jupiter-130 and Jupiter-246, with claimed lift capacities exceeding 70 and 110 tonnes, respectively, to low Earth orbit. The DIRECT team asserted that these additional new missions could have been planned and funded due to development cost savings with the Jupiter rocket family compared to the current NASA baseline. They suggested that the proposed new missions and payloads could provide useful employment for many people who were working in the Space Shuttle Program, which was due to end in 2011. As with NASA's Constellation Program baseline, two launches would be performed for a DIRECT lunar mission. One Jupiter-246 rocket would carry the crew in NASA's planned Orion Crew Exploration Vehicle along with NASA's planned Lunar Surface Access Module lunar lander. Another Jupiter-246 would be launched, its Jupiter Upper Stage (JUS) fully fueled with no payload. This particular JUS would serve as the Earth Departure Stage. The two upper stages would meet in low Earth orbit and the lunar spacecraft would transfer from the spent JUS to the fresh JUS. The assembled Orion/Altair/JUS would leave Earth orbit for the Moon. The JUS would be expended on reaching the moon. After this the spacecraft would enter lunar orbit, and the entire crew would descend to the Moon in the Altair while the Orion remained in lunar orbit. Following surface exploration, the crew would fly a section of the Altair (the ascent stage) back to the Orion, discard the ascent stage, and put the Orion on a return trajectory to Earth. Before reentry, the Orion would discard its service module, and the crew and Orion capsule would reenter Earth's atmosphere and land with parachutes deployed. DIRECT calculated that the two Jupiter-246s will be able to send 80.7 t of mass through trans-lunar injection. This compared favorably with an Ares I / Ares V dual launch, as of September 2008, projected to be capable of 71.1 t.
In its various versions and literature, the DIRECT Team postulated other mission architectures, for example using Lagrangian points in the Earth-Moon system as staging sites, as well as developing cryogenic propellant depots in low Earth orbit, to allow spacecraft to re-fuel in space and thus extend their range and capability. However, the primary DIRECT architecture intentionally matched that of NASA's. 1978 image of a Morton Thiokol-proposed In-Line Shuttle Derived launch vehicle. Note white tank. DIRECT's Jupiter vehicle would have been an "in-line" Space Shuttle-derived launch vehicle. This broad category of Space Shuttle adaptations, postulated since before the first Shuttle launch, removes the winged Space Shuttle Orbiter, moves the liquid main engines to the bottom of the cryogenic tankage (typically proposed to be adapted from the Shuttle external tank), and relocates the payload to above the tankage. The first official study of the concept was conducted in 1986 by NASA's Marshall Space Flight Center in the aftermath of the Space Shuttle Challenger disaster. It was promoted as one of the alternatives for launching unmanned cargo and would have potentially allowed a restarted lunar program as well. There were, however, no funds available to NASA for building any new vehicles while the Space Shuttle program continued. The idea was shelved and NASA concentrated on fixing and operating the Space Shuttle instead. DIRECT's approach had a resemblance to that of the 1991 National Launch System effort. Proposed jointly by NASA and the Department of Defense as an alternative to the Titan IV, the design was based on the same solid rocket boosters and modified external tank, but instead of the reusable Space Shuttle main engine, specified four of the proposed disposable, less expensive Space Transportation Main Engines. The United States Congress did not appropriate funding for the development. A great deal of reference material exists in the public domain regarding NLS. NASA's Exploration Systems Architecture Study (ESAS) of 2005 included a similar design to the DIRECT proposal using three Space Shuttle Main Engines (SSME). Known as LV-24 in crew launch form, and LV-25 in cargo configuration, the idea was dismissed because it did not have sufficient performance for the proposed lunar program - however the concept was not considered using an Earth departure stage (EDS). DIRECT's re-exploration of the SDLV idea began in 2006 in frustration with the high cost and delays of Ares I and worries that any similar issues with the giant Ares V might put the whole Constellation Program in jeopardy. An additional goal was to maintain American ability to launch crews to space with as short a gap as possible after the planned retirement of Shuttle. According to the DIRECT team, the first version of the DIRECT proposal was the product of a three-month study produced by more than a dozen NASA engineers and managers working in their free time, and a small group of engineers and non-engineers outside NASA. DIRECT took the final ESAS recommendation of using the EDS during the ascent phase of the flight to gain additional launch performance on the Cargo LV, and applied this same methodology to the LV-24/25. 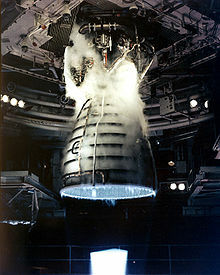 The next change in DIRECT's development was in response to NASA dropping the Space Shuttle Main Engine on the Ares V design due to the high manufacturing cost of the SSME engines and the difficulty in producing the required number of units per year with existing manufacturing facilities. NASA specified five RS-68 engines as the core engines for Ares V. The DIRECT proposal specified that its core should include two RS-68 engines. Additional performance for carrying payloads to Low Earth Orbit would be provided by upgrading the main engines with Regenerative Cooling Nozzles to improve their efficiency. The v1.0 proposal was submitted on October 25, 2006 to NASA's Administrator, Michael D. Griffin, and a wide range of industry, political and advocacy groups involved in the Constellation program. In late 2006, the head of the ESAS Study, Dr. Doug Stanley, declared that the DIRECT v1.0 proposal could not work as it relied on overly optimistic and speculative performance specifications for an upgraded RS-68 Regen engine. Stanley produced official specifications from Rocketdyne about the RS-68 Regen upgrades as evidence for his point. Direct v2.0 proposed to use a human-rated version of the existing RS-68 engine design. On May 10, 2007, a revised DIRECT proposal was released. 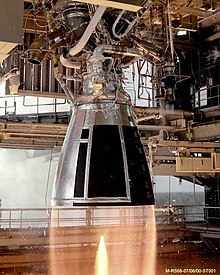 To address criticism of relying on engine studies rather than working engines, DIRECT v2.0 specified human-rating the standard performance RS-68 as used on existing Delta IV launchers and for the upper stage chose the lower of two specifications of J-2X engine which Rocketdyne is currently developing for NASA's Ares launchers. DIRECT v2.0 introduced a scalable, modular family of Shuttle-derived launch vehicles, starting with the Jupiter-120 and Jupiter-232. According to the proposal, the single-stage Jupiter-120 could achieve low Earth orbit with two standard ablative RS-68 engines, while an extra RS-68 was required on the core stage of the heavier two-stage Jupiter-232. The Earth Departure Stage for Jupiter-232 now required two standard J-2X engines instead of one. The DIRECT team produced a 131-page DIRECT v2.0 exploration architecture study that was released on September 19, 2007 at the AIAA "Space 2007" Conference in Long Beach, California. According to the group, this paper was created within a nine-month study. The paper provided detail on how the launch vehicles would be one component of a wider-reaching architecture for enabling the US to maintain the International Space Station (ISS), fly lunar missions, and provide additional capabilities for the NASA human spaceflight program. These capabilities included missions to Mars, Lagrangian point staging architecture options, and mission architectures for visiting Near-Earth object destinations. In June 2008, David King, director of NASA's Marshall Space Flight Center stated that NASA has considered DIRECT as well as many other rocket proposals, and that the Ares family was the right set of rockets for the mission. "DIRECT v2.0 falls significantly short of the lunar lander performance requirement for exploration missions as specifically outlined in Constellation Program ground rules. The concept also overshoots the requirements for early missions to the International Space Station in the coming decade. These shortcomings would necessitate rushed development of a more expensive launch system with too little capability in the long run, and would actually increase the gap between space shuttle retirement and development of a new vehicle. Even more importantly, the Ares approach offers a much greater margin of crew safety - paramount to every mission NASA puts into space." In July 2008, following NASA statements of no special studies on DIRECT, the space agency released some internal studies conducted in 2006 and 2007. Nearly a year later, on May 18, 2009, the DIRECT team released a rebuttal to the charges raised by NASA, concluding: "NASA’s October 2007 analysis of DIRECT, on the surface, appears to be a carefully executed analysis of the DIRECT architecture and its central launch vehicle, Jupiter. However, a closer examination of the document reveals significant flaws in the evaluation of DIRECT that set up a scenario where DIRECT would inevitably look inferior when compared to Ares. The errors are so numerous that the only conclusion possible is that this document cannot be used to properly assess the value of the DIRECT alternative." To save development time and costs, Direct v3.0 proposed to use "off the shelf" Space Shuttle Main Engines which were already human-rated. On 29 May 2009, DIRECT spokesperson Stephen Metschan gave a presentation to the 28th Annual International Space Development Conference in Orlando, Florida entitled, "Direct 3.0: Landing Twice the Mass on the Moon at Half the Cost." In April 2009, following NASA trade studies comparing use of the Space Shuttle Main Engine (SSME) to the originally planned RS-68 engine for Ares V, the DIRECT Team announced that future DIRECT proposals would recommend SSME as the core-stage engine. The engine change was due to concerns that the ablatively-cooled RS-68 would not survive the intense heat produced by the nearby exhaust plumes of the Space Shuttle SRBs. DIRECT asserts that the higher cost of the regeneratively cooled SSME will be offset by the time and money saved by not human-rating the RS-68. Similarly, for the upper stage, the DIRECT Team recommends using six of the flight-proven RL10B-2 engine. In May 2009 the Office of Science and Technology Policy announced the Review of United States Human Space Flight Plans Committee to be chaired by Norman R. Augustine. On 17 June 2009, team member Stephen Metschan presented the DIRECT v3.0 concept to the Committee, which was formed to offer independent advice to the incoming Obama Administration. The Committee's final report did not directly compare DIRECT to the Constellation Program, but did offer budget, schedule, and mission combinations where a shuttle-derived launch vehicle could be used. On 19 January 2010, amid rumors that NASA would propose a DIRECT-like inline launch vehicle, the DIRECT team made a presentation to NASA Associate Administrator for Exploration Systems Mission Directorate, Douglas Cooke, and NASA Associate Administrator for Space Operations, William H. Gerstenmaier, in a meeting convened by NASA Administrator Charles F. Bolden, Jr.
Pegasus barge delivers a Space Shuttle External Tank to the Vehicle Assembly Building at Kennedy Space Center in Florida from the Michoud Assembly Facility in Louisiana. DIRECT would use the existing barge to transport its planned similar tank from Michoud. According to the DIRECT team, many NASA engineers and managers supported the concept and completed a cost analysis comparison with NASA's current Constellation program and a detailed series of evaluations for supporting facilities such as data on the existing manufacturing facilities for the External Tank at the Michoud Assembly Facility and the various launch-processing facilities currently at the Kennedy Space Center. DIRECT proposed to re-use nearly all of the existing facilities with minimal modifications in contrast to the Ares I and Ares V rockets which would have required extensive modifications and replacements over existing facilities. The DIRECT's core stage would have remained at the existing 8.41 m (27.6 ft) diameter of the Shuttle's External Tank compared to 10.06 m (33.0 ft) for Ares V. The DIRECT team claimed that by not increasing the core stage diameter the existing External Tank manufacturing tooling at the Michoud Assembly Facility, the existing Pegasus barge used to transport the tank from Michoud to Kennedy Space Center, the existing work platforms in the Vehicle Assembly Building, the existing Mobile Launcher Platforms and Crawler-Transporters, and parts of the structure of the existing Fixed Service Structure and Flame Trenches at Launch Complex 39 could be used without major modifications. One of the strongest programmatic criticisms with the Ares I and Ares V architecture was the high cost for both developing two new launchers and for operating two concurrent programs. The cost concerns were cited in GAO Reports to Congress noting that the Ares I alone was expected to cost up to $14.4 billion to develop. Former NASA Administrator Michael D. Griffin confirmed that the total cost for developing both Ares launchers would be $32 billion, indicating that the Ares V would be more expensive to develop than the Ares I. A critical activity of Ares I development was the schedule for the J-2X upper stage engine and the five-segment version of the SRB. Engineers were concerned about thrust oscillation and Orion-Ares I integration. In 2008, Lockheed Martin requested that NASA redesign Ares I in order to end integration risks with the Orion crew capsule. The combined test results from the Ares I-X launch and the Ares I static test firing indicated that thrust oscillation was not a critical issue, according to program engineers. DIRECT contended that the requirement to develop 5-segment SRBs and the J-2X upper stage engine for Ares I in order to fly the first Orion was directly responsible for the delays in schedule and the comparatively high development costs. All-new manufacturing at the Michoud Assembly Facility and launch facilities at Kennedy Space Center would also be required for Ares I. In contrast, DIRECT proposed to reuse the existing 4-segment fully human rated Space Shuttle Solid Rocket Booster and Space Shuttle Main Engine. DIRECT also proposed reuse of existing manufacturing to build a modified variant of the existing Space Shuttle External Tank. Only moderate modifications would be required at Kennedy Space Center to enable launches. DIRECT’s proposal for a single launch vehicle were intended to remove the program risks associated with the possible cancellation of the Ares V launcher due to budgetary constraints. DIRECT asserted its Jupiter launchers would avoid the delays of Ares I by not requiring the J-2X on the first-generation Jupiter-130 vehicle, by not requiring the five-segment SRB and by providing more than 60 t of lift performance that would ameliorate weight issues on the Orion design. DIRECT also claimed that money would be saved by avoiding a parallel development of the Ares V booster, since the Jupiter family would represent a single rocket family program. The group suggested that the money saved on Ares V be reused to speed development work of such other elements as the Orion, the Jupiter-130, launch facility modifications and all associated systems. A significant cash injection was expected to allow the schedules of all those elements to be trimmed substantially, allowing full operational capability of an Orion/Jupiter-130 system to perform 6-person crew rotations and cargo deliveries to the ISS by 2013. Proponents asserted that the DIRECT proposal would enable NASA to fulfill the mandate of the Vision for Space Exploration sooner and more safely than the planned Ares I and Ares V, at a lower cost and with less programmatic risk due to a simpler approach which decreases new development efforts. Advocates said the DIRECT proposal would allow NASA to provide sufficient money to continue funding programs beyond launch vehicle development and operation, including extending its participation in the International Space Station, which was scheduled to end in 2016 as of 2009. The DIRECT proposal also suggested that NASA could use costs savings from the DIRECT proposal to accelerate the VSE's schedule for returning to the Moon and to potentially fly other missions such as servicing missions to the Hubble Space Telescope. In contrast to these claims, NASA senior manager for the STS program, John Shannon stated that he thought the DIRECT proposal underestimated the costs for the Jupiter rocket family. The DIRECT proposal required more orbital assembly steps than the proposed Constellation Program. In Constellation, after Low Earth Orbital rendezvous of Ares I and Ares V, the Orion Crew Exploration Vehicle (approximately 22 t) from the Ares I would invert and dock with the Altair lunar lander (approximately 44 t) which would still be attached to the Ares V Earth Departure Stage. In the case of DIRECT, the combined mass of Orion and Altair would exceed the carrying capacity of the Jupiter-130. If a Jupiter-130 were launched with Orion and a Jupiter-246 launched with Altair, the Jupiter Upper Stage (JUS) with Altair would have insufficient propellant to push Altair/Orion beyond Earth orbit. Thus, the DIRECT baseline was to launch two Jupiter-246s, one with a partially fueled (75 t) JUS carrying Orion/Altair and the other with only a fully fueled (175 t) JUS. After orbital rendezvous, the Orion would invert and re-dock with Altair much like in the Apollo Program and Constellation Program. However, with DIRECT, the crew in Orion would have to separate Orion/Altair from the first JUS and dock Altair to the second JUS. The second JUS would have enough remaining propellant to serve as the Earth Departure Stage. The first JUS would be discarded in Low Earth Orbit, while the second would be discarded after its Earth departure burn. The Jupiter Upper Stage (JUS) mass to propellant capacity has been regarded as realistic. Minimal upper stage mass is desirable so that the stage may propel the Orion and Altair spacecraft out of Earth orbit, but the JUS would need to be large enough to carry enough propellant to both achieve low Earth Orbit and to serve as the Earth departure stage. The DIRECT v3.0 JUS had a putative mass of 11.3 t for a propellant capacity of 175.5 t. While claiming a design heritage from the Centaur series of upper stages, DIRECT specifically cited new materials, new welding techniques, and a common bulkhead separating the Liquid Oxygen and Liquid Hydrogen tanks as sufficient to account for the low stage mass. Bernard Kutter of United Launch Alliance described the even more radical DIRECT v2.0 JUS design as, "...very reasonable. I’d even call it conservative." The payload capacity of Ares V to low earth orbit, according to NASA, would have been 188,000 kg. This was more than the largest proposed Jupiter rocket (Jupiter-246 Heavy with 5 segment SRBS) which was claimed to lift about 120,000 kg to LEO. For potential Mars missions more launches per mission would thus be required using Jupiter instead of Ares V and the mission modules would need to be separated in more different parts. However, NASA's Design Reference Mission 5.0 completed in 2007 required only a 125mt+ launch vehicle with a 10m+ diameter shroud for a Mars mission with 6 separate Ares V launches. The Jupiter rocket would fulfill the requirements of the Design Reference Mission with only a very narrow shortfall in payload to LEO, while fulfilling the volume requirements. The Jupiter rockets would be shorter in height than the Ares V, permitting very long payload fairings and thus greater total internal volume than possible with the taller Ares V, which would quickly encounter restraints due to height limitations within the Vehicle Assembly Building at Kennedy Space Center. ^ "End Run - A small band of rogue rocketeers takes on the NASA establishment". Air & Space Magazine. Smithsonian Institution. September 29, 2008. Retrieved 2008-10-19. ^ a b Chang, Kenneth (2009-06-17). "Review Panel Hears Rival Plans for New Spaceflight". New York Times. Retrieved 2010-01-30. ^ "Jupiter Launch Vehicle – Technical Performance Summaries". Archived from the original on 2009-06-08. Retrieved 2009-07-18. ^ "DIRECT Presentation". The DIRECT Team. 3 July 2008. ^ "Missions to Mars - Mars Sample Return". Archived from the original on May 18, 2008. ^ a b "DIRECT's Phase 2 baseline EOR-LOR lunar architecture" (PDF). Landing Twice the Mass on the Moon at Half the Cost. DIRECT Team. 29 May 2009. p. 25. Retrieved 2009-07-13. ^ a b Block, Robert (2009-06-22). "NASA remains silent on rocket that could rescue the Cape". Orlando Sentinel. Archived from the original on 2008-08-04. Retrieved 2009-06-30. ^ "88 Search Results for "NLS"". NASA Technical Reports Server (NTRS). 20 October 2008. ^ "DIRECT Space Transportation System Derivative;The Jupiter Launch Vehicle Family" (PDF). DIRECT Team. Retrieved 2008-06-15. ^ "Achieving the Vision for Space Exploration on Time and Within Budget" (PDF). AIAA Houston. Retrieved 2008-06-15. ^ "Ares remains the answer for-ew frontiers". The Huntsville Times. June 29, 2008. Archived from the original on July 8, 2008. Retrieved 2008-06-29. ^ "NASA - Frequently Asked Questions - What is the latest update on NASA's Transportation Architecture?". 2008-07-03. Retrieved 2009-06-30. ^ "NASA Background on Ares Vehicles versus the DIRECT Proposal" (PDF). 2008-06-25. Retrieved 2009-06-30. ^ Marshall Space Flight Center (October 2007). "DIRECT 2.0 Space Exploration Architecture Performance Analysis" (PDF). Retrieved 2009-06-30. ^ "DIRECT issue rebuttal over NASA analysis of Jupiter launch vehicle". NASA Spaceflight. May 18, 2009. Retrieved 2009-05-21. ^ "Rebuttal of NASA's October 2007 DIRECT 2.0 Analysis Findings" (PDF). DIRECT Team. May 18, 2009. Retrieved 2009-05-21. ^ Metschan, Stephen (2009-05-29). "DIRECT - Safer, Simpler and Sooner than Ares" (PDF). Retrieved 2009-06-12. ^ Tierney, Ross. "NASA Space Flight Forum - NASA CEV / CLV / CaLV / MTV / Alternatives - DIRECT v2.0 - Thread 3". Retrieved 2009-04-01. ^ "U.S. Announces Review of Human Space Flight Plans" (PDF). Office of Science and Technology Policy. May 7, 2009. Retrieved 2009-09-09. ^ "NASA - Review of U.S. Human Space Flight Plans Committee". 2009-06-17. Retrieved 2009-06-17. ^ "Review of U. S. Human Spaceflight Plans Committee" (Press release). Review of U. S. Human Spaceflight Plans Committee. 2009-10-22. Retrieved 2010-01-30. ^ Klotz, Irene (2009-09-14). "Leroy Chiao on the Augustine Commission - Q&A: The panel member and former astronaut talks with Discovery News about the report summary". Discovery News. Discovery Communications. Retrieved 2010-01-30. ^ Noland, David (2010-01-29). "Rebel Engineers Sit With NASA to Chart Future of Manned Space". Popular Mechanics. Archived from the original on 2010-01-31. Retrieved 2010-01-29. ^ "NASA Facts - Space Launch System Core Stage" (PDF). NASA. 2014. Retrieved 11 September 2015. ^ "Agency Has Taken Steps Toward Making Sound Investment Decisions for Ares I but Still Faces Challenging Knowledge Gaps, Report to the Chairman, Committee on Science and Technology, House of Representatives, #GAO-08-51" (PDF). Government Accountability Office. October 2007. Archived from the original (PDF) on 2008-10-14. ^ "NASA Nominees Promise a More Relevant Space Agency". Space.com. 14 July 2009. ^ "Orion's plea to Ares I: Stop adversely hindering our design process". NASA Space Flight .com, Chris Bergin. 15 September 2008. ^ Coppinger, Rob (2009-07-10). "Shuttle derived Heavy Lift Vehicle: interview notes". Hyperbola - Orbiting the blogosphere with Rob Coppinger. Retrieved 2009-07-18. ^ "NASAfacts - Constellation - Orion Crew Exploration Vehicle" (PDF). National Aeronautics and Space Administration. January 2009. p. 2. Retrieved 2009-07-18. ^ "NASAfacts - Constellation Program: America's spacecraft for a new generation of explorers - The Altair lunar lander" (PDF). Houston, Texas, USA: National Aeronautics and Space Administration - Lyndon B. Johnson Space Center. p. 2. Retrieved 2009-07-18. ^ Noland, David (February 2009). "NASA & Its Discontents: Frustrated Engineers Battle with NASA over the Future of Spaceflight". Popular Mechanics. Archived from the original on 2009-03-23. Retrieved 2009-07-18.